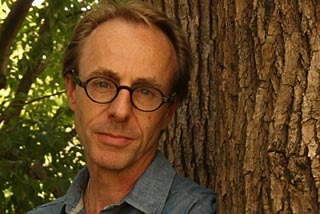 The Australian poet, Mark Tredinnick, is one of that rare breed of essential poets. His work captures the distinctive qualities of our own time, an age teetering, perhaps, at the end of the Holocene. to forgive us, or is that what she’s been doing all along? Tredinnick has won several prestigious poetry prizes in recent years, such as the Montreal Prize 2011 and the Cardiff Prize 2012. Fire Diary, his first book of poems, stamped his distinctive voice on the poetry world. Now, in his second collection, Bluewren Cantos, he consolidates his standing as one of the most exciting and authoritative voices around. I wait for it to come across the early summer pastures . . . The black ducks in their black thongs, the throngs of roadside lizards. Hell, I don’t care what they call it – this is landscape that wants you for lunch. Tredinnick’s poetry combines the personal, the spiritual and the natural worlds into one intricate web of meaning. There’s a richness to his work that resonates from bringing these perspectives together. One might say, rubbing them together creates the friction that ignites these poems into a pure and memorable flame. and you mustn’t believe a word. Just where the river bends, is the embodiment of love. For three hundred million years, sleeping all eternity awake. Pillowed on your own small hands. Tredinnick reminds us of what is really important and challenging in life; its beauty and mystery; its terror and fragility. He seizes on those fleeting moments of illumination that happen, sometimes on the most unlikely of occasions, usually, in the words of Lennon, when we are busy doing other things. His verse has a strong visual presence, with its characteristic long lines, strung out across the page like notes on a stave or birds on a wire. Indeed, his lines are so long that his books need to be produced in a wider format than customary in order to accommodate the wide open spaces (both of place and thought) that his verse opens up. And then there is the voice; calm, measured, wistful, witty, joyous, sorrowful, singing. Here is a music that dances across the page inviting us to join in the rhythms of sound and meaning. Tredinnick is deeply engaged with the landscape of his native soil. He lives in a rural area along the Wingecarribee River south west of Sydney but travels widely and always keeps his eyes open to new sensations. There’s a unity in his work that comes mostly from the voice, the distinctive tone, rhythms and structures of his poems. Poems that focus on his family, local wildlife, (especially birds who have a kind of totemic presence in his work, as if they stand proxy both for the writer and his work) the Australian landscape and the long extent of geological time compared to the brief time of a person’s life. There’s also his reaction to music and other poet’s work (Bach, Mozart, Rumi, Basho, Emily Dickinson, Charles Wright, Jan Zwicky). There’s a tenderness in his writing that extends to all the things he contemplates. Tredinnick reminds us about the things of enduring importance; connectedness, both to each other and to the earth, landscape, place, ecology and our relationship to nature. All of this adds up to a deeply (but non-denominational) contemplative-spiritual relationship to life. And it is this quality that ultimately makes Tredinnick’s work so uplifting. all about it. The original world: no one should sleep through this. Reading one of his poems is like going for a walk with a dear and trusted friend; the conversation flows effortlessly and, like sunlight filtered through trees, there are flashes of insight, tangible wisdom. He is a guide along the tangled paths of experience and points out, in a gentle, humorous way, those things it is too easy to overlook. Wittgenstein says (in Philosophical Investigations PI §127) ‘The work of the philosopher consists in assembling reminders for a particular purpose.’ Not just about any old thing but specifically reminders about things it is easy to overlook, things that misdirect us or are hard to articulate, such as, ‘Something we know when no one asks us but no longer know when we are supposed to give an account of it.’ (PI §89) In Tredinnick’s poetry we find an articulation of those very things that are so hard to voice. His poetry, in Fire Diary and Bluewren Cantos, is an assembly of such reminders. Reminders, gentle yet forceful, that help us stay true, grounded in what is really important, able to listen more attentively, more openly, to the quiet messages the world sends out to us.